You have choices with the following grade level complete homeschool curriculum. Choose all the subjects from one publisher or mix and match from various publishers. 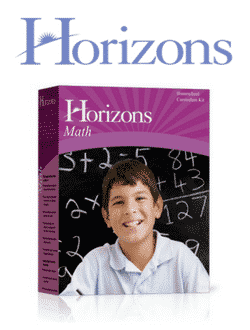 Teachers and student books and workbooks are available. I want the teacher’s guides, student books, and other necessary books like student activities books. I want more structure and lesson plans for my homeschool teaching. I want the peace of mind that it is academically accepted and covers necessary skills. I want professionally written homeschool curriculum with a proven track record. I want to focus on teaching, not researching and creating my own program. I want the assurance of complete curriculum where the lesson plans, the answers, and student materials are provided. If this sounds like what you want, then choosing a complete homeschool program is the best choice. After you have more experience with teaching at home, you will know more about your likes and dislikes and what works well for you and your children. Call or email if you have homeschool curriculum questions. Preschool Curriculum We carry several complete Christian preschool programs. 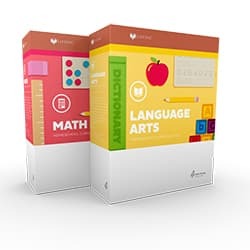 Alpha Omega LIFEPAC 5-Subject Sets Kindergarten to Grade 12 The complete sets for grades 1 to 12 include Bible, Math, History/Geography, Language Arts, and Science. Electives are also available. The Kindergarten set is a two-subject set with Language Arts and Math. Switched-On Schoolhouse 5-Subject Sets For grades 3 to 12, the subjects include Bible, History/Geography, Language Arts, Mathematics, and Science. 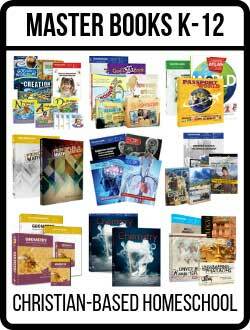 Bob Jones University Press Curriculum Each subject from K to 12 is available. There are also electives such as art. 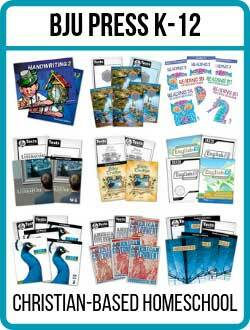 HMH (Houghton Mifflin Harcourt) offers a wide variety of complete homeschool subjects from various publishers such as Saxon, Holt McDougal, and more. Some publishers offer complete subjects, though they may not offer everything for each grade level. Master Books Preschool to Grade 12, a creation-based science, history, language arts, and math curriculum. 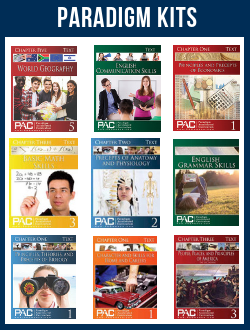 Paradigm Accelerated Curriculum Various core subjects for grades 7 to 12—helps get your child to grade-level and improves reading for answers skill. Make it easier on yourself when you teach your children at home with multi-level courses. 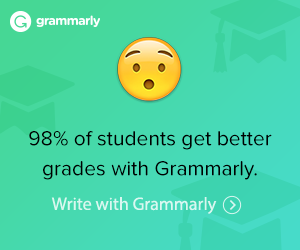 It saves teacher time and adds to family bonding. Typically social studies and science are good subjects for teaching several students in different grades. Multi-Level Science Curriculum Teach science to students of different grades with these courses. Multi-Level Social Studies Choose a social studies subject and look for the multi-level courses. What Type of Homeschool Support Group Works for You? What’s your style: field trips, co-ops, laid-back, structured? Start Homeschooling Half-Way Through the School Year? Midway or anytime, it’s legal to begin homeschooling whenever you make the decision. How to Start Homeschooling Ready to begin your homeschool journey? Homeschool Mini-Mesters For the student who needs a fast credit or likes to work in chunks. More About Homeschool Mini-Mesters Take another look at speeding up homeschool courses.